Real Madrid midfielder Xabi Alonso has praised the match winner from summer signing Gareth Bale by saying that it was one of the best goals he has seen this season. Gareth Bale was signed by Real Madrid from Tottenham for an astonishing transfer fee of £ 85 million, thus making him the most expensive player in the world. Due to this fee, the media have been constantly comparing him with the likes of Lionel Messi and Cristiano Ronaldo. For most of the season, Bale has been overshadowed by Ronaldo at Real Madrid. However, for the first time, he had the opportunity to step out of the shadows of the Portuguese superstar after being taken up in the starting line-up for the Copa del Rey final against Barcelona. Ronaldo, meanwhile, was missing from the squad due to a hamstring injury and he is expected to be so for the next few matches at least. Bale grabbed the opportunity with both hands after scoring the winner with only a few minutes remaining. Angel di Maria had earlier given Real Madrid the lead with a brilliant counter-attack before Batra equalised for Barcelona in the second half. However, a bursting run for the entire length of the pitch saw Bale scored incredible goal in the closing minutes of the match to get Madrid the win in the tournament. “It was incredible, I have never seen anything like it. It looked like the ball was going out, but he kept pushing and ran off the field to get it. It was amazing,” said Alonso after the match. Even opposition manager Martino awards in praise of the goal. “It is difficult to see a player sprint like that at that stage of the game. Obviously this is not a good moment. It has been a hard week on all fronts,” said Martino. The Premier League is being tightly contested with Chelsea, Arsenal and Manchester City all separated by a few points and according to Tim Sherwood, the top 4 spots will go down to the wire. “We are happy we are amongst it and leap-frogged Everton, and now we’re chasing Liverpool,” said Sherwood. Tottenham claimed a vital 1-0 triumph against Everton with the Togolese forward Adebayor scoring the only goal of the entire encounter but it was just enough for Sherwood’s side to claim all 3 points and get into a higher spot in the English league. They are attempting to secure a Champions League spot for the upcoming season and Adebayor is one of the driving forces that is pushing the team ahead and helped placing Tottenham at their current position. Sherwood will have the support of the French goalkeeper Hugo Lloris by his side after the shot-stopper shut down claims and reports which were linking him to make a move to Arsenal. According to Olivier Giroud, the player of Arsenal stated that he has talked with Hugo Lloris and the goalkeeper said that he would like to join the club guided by Arsene Wenger but Lloris reacted quickly and said that he is only focused about playing well with Tottenham. Lloris told Spurs’ official website: “I heard about Giroud’s interview. I think maybe some words were twisted, but it is embarrassing. I don’t think that, I’m very focused on Spurs’ ambition and I am very pleased to play for Spurs’’. A few days ago, Carlo Ancelotti said that he expected more from Gareth Bale in the coming seasons. The Welsh international was signed from Tottenham for a world record fee of £ 86 million. After initially struggling for form and fitness, the player is starting to come good for Real Madrid in recent months. Despite this, Ancelotti said that Bale is displaying only half of his potential because it is his first season at the club. He is expecting more from the 24-year-old once he settles completely at the Santiago Bernabeu. The former Tottenham star showed his quality in the recent 5-0 win over Real Betis. He scored the second goal of the game, as Real Madrid managed to move level on points with Atletico Madrid and Barcelona. The top three teams have 50 points each right now, although Real Madrid have played a game more than their rivals. Cristiano Ronaldo opened the scoring in the 10th minute, while Karim Benzema, Angel di Maria, and Alvaro Morata scored the goals for the club in a convincing victory. Ancelotti said after the match that he was very happy with the performance of Bale, who not only scored, but also created chances for his teammates. Prior to the match, he confirmed that Morata will not be allowed on loan to Arsenal. “Bale performed well. But so did everyone else in the team. There was big pressure in the beginning. But everything went well, so we have to be happy. When we scored the first goal, the game changed. We had more spaces – it’s normal that Betis attacked trying to get a draw. All the team played well, we had lots of chances to score – it was a great match from our point of view,” said Ancelotti, whose team are slowly coming back to a good run of form. Gareth Bale recently scored his first hat-trick for Real Madrid in the 4-0 win over Real Valladolid. The Wales international was signed for a world-record £ 86 million in the summer, but he has so far been poor. However, he has been showing signs of returning to the form he showed last season with Tottenham. He came into the match on the back of an impressive scoring run, but he managed to outshine Cristiano Ronaldo for the first time since moving to Madrid by scoring a hat-trick in the match. Ronaldo was absent from the team due to a thigh strain. After the encounter, he said that this was certainly not the best performance he has put in and has said that fans can expect more from him in the coming weeks. 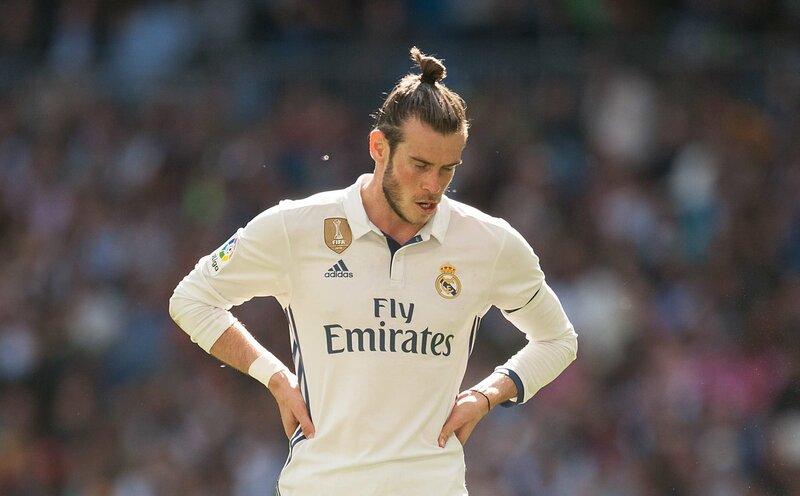 Bale has also stated that the reason behind his poor performance at the start of his Madrid career was due to lack of fitness after missing pre-season with Tottenham and Madrid. Bale now has seven league goals, which is significantly better compared to Barcelona’s summer signing Neymar. The Brazilian has only four goals in the league until now. “I scored three goals but I hope to do better. I want to keep improving and working hard during the matches and training. I’m very happy here. I needed time to adapt after not having a pre-season but I’m improving now. Everything I hoped for has come true. The fans and the club are incredible,” said Bale to the official site of Madrid. “He is a very important player for us. I think his period of adaptation is over. He is doing well, he is confident and is very important for us. He did very well,” said Carlo Ancelotti. Aside from scoring three goals in the match, Bale also provided an assist for Karim Benzema. Madrid still remain three points behind leaders Barcelona and Atletico Madrid. 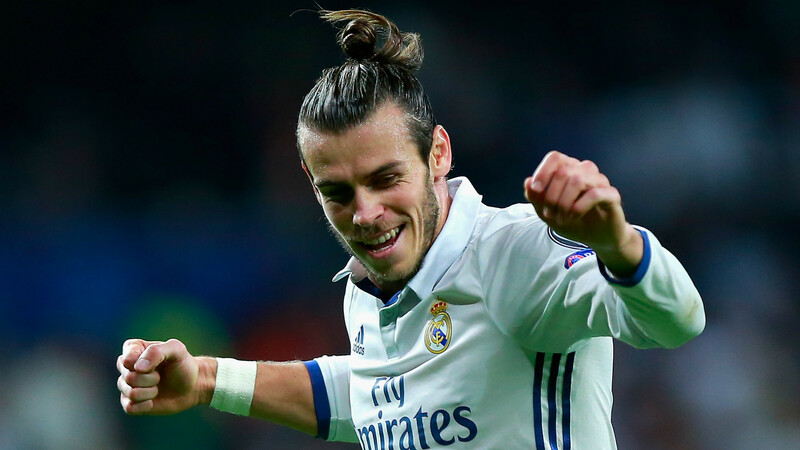 Real Madrid manager Carlo Ancelotti has given a huge boost to the fans, who have been waiting to see Gareth Bale make his debut at the Santiago Bernebeu, by confirming that the midfielder could start against Atletico Madrid. This could be one of the important matter derbies in recent years because Atletico come into the encounter after having taken seven straight victories, while Madrid have already dropped two points. In order to respond to the Barcelona’s signing of Neymar, it is believed that Florentino Perez went out and secured the contract of Gareth Bale for a world record transfer fee of £ 86 million. This is in addition to the wages of more than £ 300,000 per week. However, the Wales international has been unable to make an instant impact at the Santiago Bernabeu due to persistent injury problems. He did not have a proper pre-season with Tottenham because he was involved in the transfer embargo. Instead of giving him time to settle, Ancelotti gave his debut in the 2-2 draw with Villarreal. Bale played 60 minutes of football in the match and he has not been perfect ever since. He did score on his debut, but persistent injury problems have taken the shine out of the star name. Ancelotti, however, expects Bale to be on the starting line-up for the visit of Atletico Madrid. “I think he will be ready for Saturday no problem. He was a bit sad after the Getafe game but changed quickly because he started to think about Saturday’s game,” said Ancelotti ahead of the crunch match. Meanwhile, Florentino Perez has said that the £ 86 million paid to Tottenham for Bale is very cheap. “The signing was cheap. It was shown with Figo, Zidane, Beckham and Ronaldo. Even though they were very expensive, we went from losing money to making money,” said Perez. Tottenham star Gareth Bale has sensationally claimed that he does miss the experience of playing in the Champions league on a regular basis. The 23-year-old has been linked with several clubs including Real Madrid over the last few years. Real Madrid are thought to be actively pursuing the player with president Florentino Perez keen to make the Galactico for this year. Bale has been on a real good run of form in recent years, but last season saw the emergence of the Welshman into the real star. He managed to win both PFA awards for the first time since Cristiano Ronaldo. The coveted players who have achieved this feat include the likes of Cristiano Ronaldo and Thierry Henry. This incredible achievement has increased to his value in excess of £ 50 million, but Real Madrid are thought to be ready to offer this amount. Tottenham have made it clear that the player is not for sale at any price, but the player could ultimately force a sale like some of the players in the past. He has only three years left on his current deal and it is thought that Tottenham are preparing a new offer for him. However, he has hinted that he may leave Tottenham in order to get Champions League football. “When you play in the Premier League, say you’re playing against a lower-end team, they set up to defend all the time, they set up to block you off. But when you play in the Champions League, all the other teams are used to winning every week, so it’s more of an open game, it’s more attacking, end-to-end. No one’s used to defending, everyone’s used to attacking and trying to win games, so it’s just all against all,” said Bale, who helped Tottenham finish in the fifth position just behind Arsenal. Tottenham midfielder Gareth Bale, who has been linked with a move to Real Madrid, has said that he is playing through the pain barrier in order to help Tottenham finish in the top four this season. Tottenham are currently battling along with Chelsea and Arsenal to finish in the top four of the Premier league, which will give them the ability to play in the Champions League group stages next season. Tottenham have been in the group stages once in the history of the competition. It is seen as a vital need for the club to keep players like Gareth Bale. The Welsh winger, who is amongst the six nominated for the PFA player of the year awards, was recently injured in the Europa league encounter against FC Basel. Tottenham were knocked out of the competition in the quarter-final stage, thus leaving them with only the league to concentrate in the remaining two months of the season. He has been having one of the best seasons with Tottenham. Signed from Southampton for around £ 5 million, Bale has scored 23 goals in all competitions for the club. He has also managed several assists along the way as well. The ankle ligament damage suffered against Basel is causing him problems, but he is playing through the pain according to the player. “It was touch and go whether I was going to play – but thankfully I got through it okay. It was a bit sore in the first half but I got more confident in the second half. It hurts but it’s just about managing it and carrying on. All three goals were important. The first gave us belief, the second killed them and the third one just sealed it so it was a great comeback. We showed great character and hopefully we can carry that on in the last five games,” said Bale. The Tottenham midfielder Gareth Bale was recently booked for the fourth time this season for diving. The Welsh winger and the Liverpool striker Luiz Suarez have been the most scrutinised when it comes to driving this season, but the Liverpool manager Brendan Rodgers thinks that his player has been affected more often than not.